E Competition Package Bumps Up E Power With Another 19BHP, Eliminates Under Steer And Sharpen Up The Drive To Another Level. E ComPack Also Comes With A Different Set Of Suspension, Giving A Firmer, Less Body Roll/More Comfortable Ride. 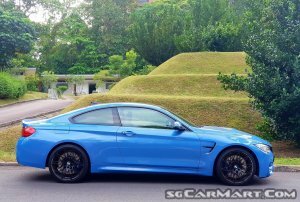 Also Includes Better Exhaust System W More Exciting Note Than E Standard M4, I.e. 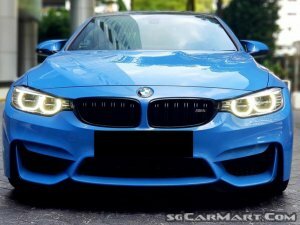 The ComPack Puts E Soul Back To E Lifeless Standard M4. Please Call In To View. 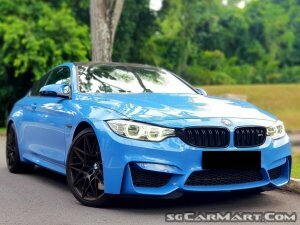 Features: 3L TwinPower Turbocharged Inline 6 Engine Delivering 444bhp And 550Nm Of Torque Mated To 7 Speed DCT Coupled To Front Wheel Drive. Sub 4sec Sprint! Accessories: 5 Yr PML Warranty, Competition Package, 20"Sports Rims, HUD, Idrive With Bluetooth Connectivity, Navigation, Harman/Kardon Sound System, Memory Seat.